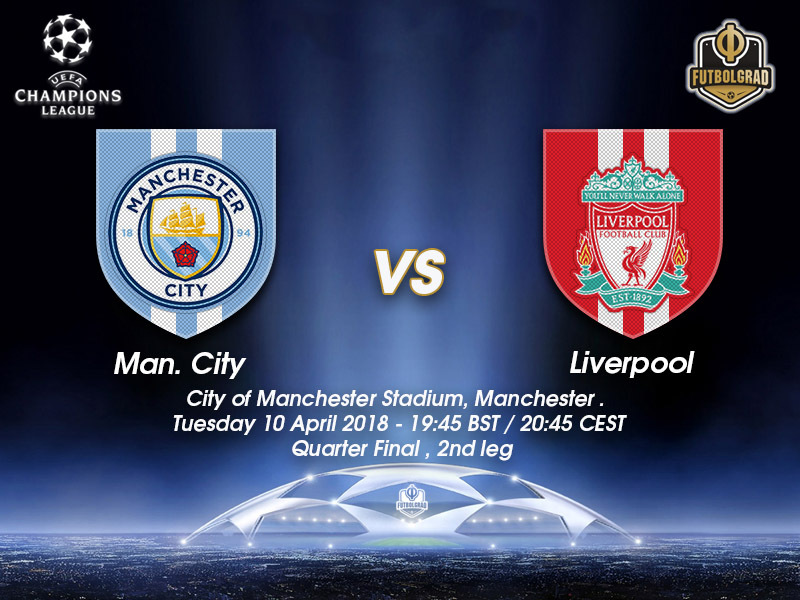 Manchester City vs Liverpool – Tuesday, April 10, 19:45BST/20:45CEST – City of Manchester Stadium, Manchester, England. 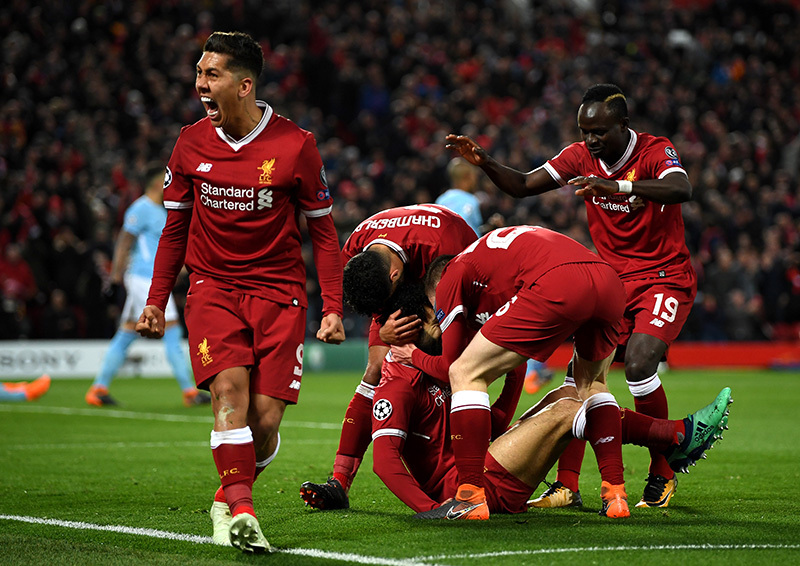 After a remarkable first leg, Manchester City vs Liverpool has all the ingredients to wow once again. The hosts need to score four – without response – to have any hope of reaching the semi finals stage. Liverpool on the other hand, a clean sheet or an away goal would leave the Reds 180 minutes from their first Champions League final in 11 years. Very few could have predicted the way in which Liverpool blew Manchester City away at Anfield. Buoyed by an exuberant crowd, Jurgen Klopp’s Reds destroyed the Premier League’s champions elect in 30 fast, first half minutes. As Sadio Mané rose to meet Mohamed Salah’s pinpoint cross – on the half hour mark – Anfield held its breath, when the net bulged the stadium erupted. Liverpool’s third goal sent the bench, the players and the vast majority of a 55,000 crowd into a dreamlike state. It was enough to see the home side over the line, but as their German manager was keen to impress after the full time whistle, nothing is safe – it is only half time. Liverpool fielded a vastly rotated side for the weekend’s visit to neighbours Everton. Tuesday’s fixture weighed heavily on the mind of all associated with the club – never before had a derby been received so unenthusiastically. Notable absentees from the Merseyside derby included Salah and the impressive Andrew Robertson. The Scot withdrawn due a to calf problem, whilst Liverpool’s top scorer was missing after hobbling off with a groin problem – picked up in the latter stages of leg one. All Liverpool need to do is keep a clean sheet, away at Manchester City – a hard ask, but the Reds will believe they can score. If they do the tie is as good as over. If City thought they had a bad Wednesday then their Saturday didn’t get much better. Looking for an immediate response, Pep Guardiola will have thought he’d received one. Two-nil up, at home, against bitter rivals Manchester United – all the Sky Blue’s needed to do was hold on and they’d be crowned Premier League champions. Their neighbours had other ideas, and an all too familiar City collapsed under United’s second half fight back. 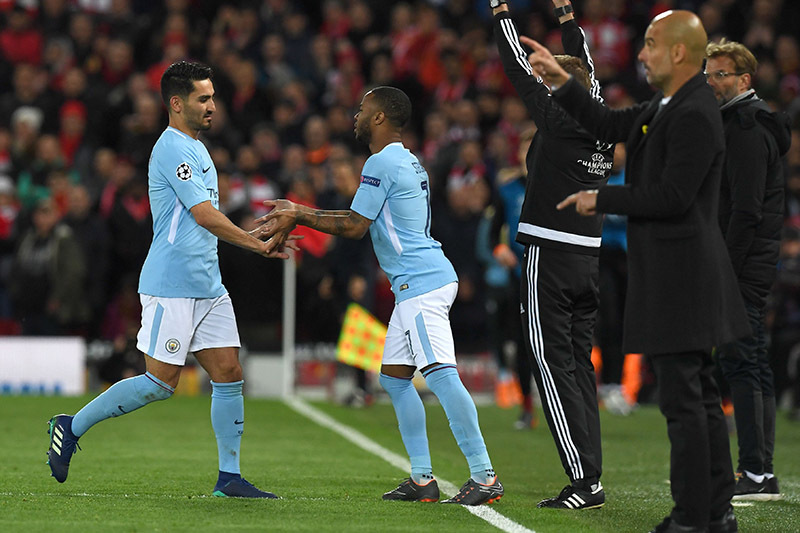 Manchester City had leaked six goals in two games, something that would have been deemed impossible a few weeks earlier – the side from Eastlands showed for the second time in a week they were capable of a collapse under a modicum of pressure. The only shining light out of a dark tunnel was the return of Sergio Agüero. The Argentine came on for Ilkay Gündogan with 15 minutes left of the derby and almost flipped the fixture on its head. Denied by a wonderful save from David de Gea, the centre forward then should have been awarded a penalty after a cynical challenge in the area by Ashley Young. The referee said no and Agüero was lucky not to have his leg broken by the United midfielder. Guardiola has spoken of City’s need for the ‘perfect game’ on Tuesday night. Anything short and it will be their vistors who go forward to the semi final stages, not the side once touted as potential winners of this competition. Inexplicably left out of the starting lineup last week it was the introduction of the England international that changed the game for City. The ex-Liverpool winger immediately presented the Reds with a problem. Although the Manchester side were unable to find a crucial away goal, the arrival of the 23-year-old in the second half changed the dynamic of the game. City will need his fast pace and creativity from the first whistle if they harbour any hope of overturning their three-nil deficit. The Brazilian has eight goals and six assists in 11 Champions League games for Liverpool this season – his influence on this team is easy to see. The very epitome of a ‘Klopp player’ it is Firmino who best suits the German’s high pressing style. Signed for £36 million in 2015, the 26-year-old has flown into his prime under the stewardship of Klopp this season – his work rate has seen him transform into a forward that not only scores, but selflessly set up those around him. 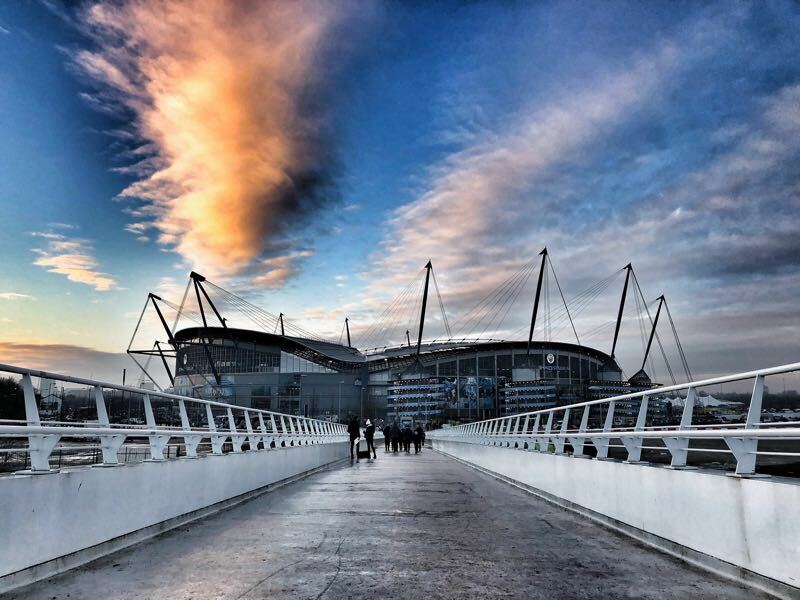 City have scored three or more in 12 of 23 home matches this season. However, they have only managed two clean sheets in their last nine matches. The Reds have lost only one of their last 12 games in all competitions, winning eight. Jordan Henderson serves a one-match suspension following his first-leg booking.